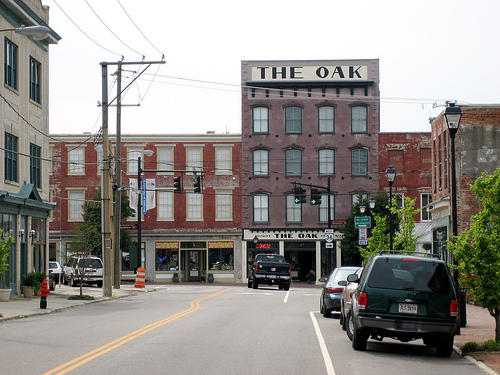 I've mentioned The Oak many times in my blog thus far, but have never done a specific post on it. 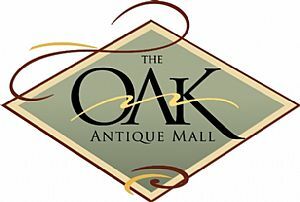 If you didn't know, The Oak is a 10,000 square foot antiques mall with about 50 leased spaces located in the heart of Historic Old Towne Petersburg, VA. Click here for directions. The Oak holds a very special place in my life, as it was my first real job. They opened in November of 2005, and I started about six months later as a part-time sales associate one thing led to another and I was quickly promoted to assistant manager, then manager in less than two years. I've spent a great deal of time and energy making this place the talk of the town. Sadly, I left for what I thought was the start to my own business--home staging, wedding planning, live piano...As many of you know this all fell through, Though I was offered a job back at The Oak during all of this, it just didn't feel right. This has to be one of my all-time favorite photos from The Oak--I love how this dealer turned an old cast-iron crib into a chic daybed! By these photos, you can tell The Oak sells quite an array of unique items. I do apologize, but these are older photos, so many (if not all) the items shown have sold, don't fret--there is always new merchandise coming in--I'll be bringing a truckload in this week-end! You'll be sure to find unique custom pieces like this bench, along with European, Asian, and Early American antiques and fine reproductions. I envy the family that purchased these urns! This dealer carries stained glass panels for much cheaper than auction! Here's a fun sign one of the dealers posted! Dealers here carry everything from Shabby Chic to Primitive to the Finest European best. Sterling Silver, Occupied Japan, Country Store items, religious items, and more! Great deals on decorator pieces that really make a statement. Plenty of chairs to go around! I almost bought this armoire! I simply couldn't find a place for it! 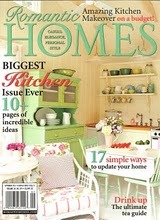 Check out the chippy pink and aqua paint! Chintzware and other china and glassware. I hope these photos tempt you! I'll post more this week if I get a chance. I have some friends from college staying with me this week-end and I'm busy getting everything straight, plus I'm getting everything together to move in to my antique space also this week-end! I'll definitely post photos of my finished display area! And to keep the FTC cronies happy--I HAVE NOT been compensated for this or other similar show and tell postings on this and others of my favorite shops!